December 30, 2009 May 31, 2012 Nefer Khepri, Ph. D.
My Annual Tarot Forecast is a card reading that covers each month of the coming year. It’s the New Year now so why not celebrate by treating yourself to a reading. You will get a complete summary of the card for each month I pull just for you. Topics covered include: desires, romance, friends, work/career, finances, family, news, blessings, and guidance – just to name a few. Each card also comes with my own psychic interpretation of how that card’s energies will affect you during that particular month. I also include a positive affirmation to use each month in order to help you to manifest the most positive aspects of the card you received. My Annual Tarot Forecast covers 12 months and can be done at any time of the year. Your reading can start now, in January, or it can start the month you order and the reading will still cover an entire year. Regularly prices at $150 for this 22 page (in most cases, more!) reading, for a limited time if you order during the month of January you can order it here for only $115! This will be the lowest price at which I will ever offer this reading. Your order will take approximately 2 weeks to fill and your “year” will begin on the day you receive the reading and will end on that same day in 2011. I will then email you with your order confirmation and the date on which you can expect to receive your reading via email. I hope you take advantage of the sale. This will be the only time in 2010 that my Annual Tarot Forecast will be placed on sale. This sale is only open to List Members of Magickal-Musings.com and those of you with access to this blog. I wish you all countless wonderful blessings for 2010! 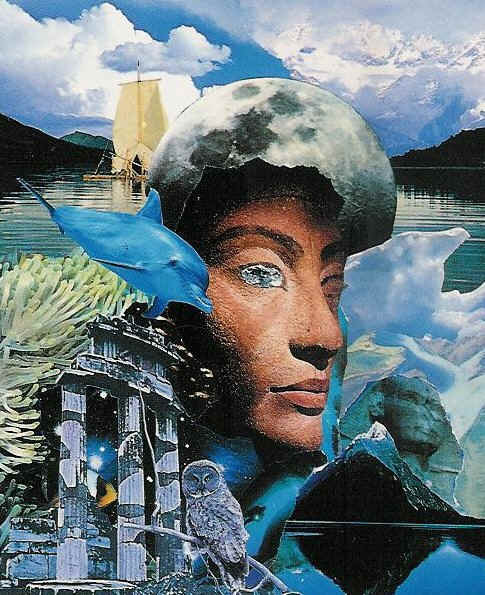 Image: Copyright James Wanless, Ph.D., the High Priestess from the Voyager Tarot. Previous Happy 2010 to Everyone! Next The Attack of the Stomach Flu!